In a real estate investment career spanning more than 40 years, Michael Force has seen the industry from all sides: as a property owner, manager, developer, attorney, receiver and managing agent. 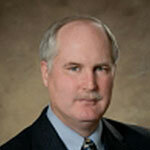 He is a licensed Real Estate Broker in California and an inactive member of the Oregon State bar. Mike is currently the Principal and CEO of Westcal Management that manages over 6,000 apartment units and commercial buildings in the northern California area. Mike also is the owner and managing member on apartment buildings and an office complex in his own name. Before moving to California in 1991 to become the principal of Westcal Management, he was the executive vice-president of a management company in Seattle that managed 900,000 square feet of commercial space and over 5,000 residential units. Previously Mike was responsible for insurance and legal claims for a large retail company in the Northwest and was Vice-President and Counsel for a large manufacturing company. In addition to overseeing multi-family properties, Mattison has worked with homeowners’ associations and manages Westcal’s office, retail and industrial properties. With extensive experience in commercial development and legal documentation, Mattison is exceptionally well qualified to manage Westcal’s commercial portfolio. Mattison’s career in commercial real estate began in 1980, when she signed on with a Southern California company that developed, leased and managed neighborhood and specialty resort retail centers. A notable project was the redevelopment of Lake Arrowhead Village, which included a luxury hotel and shopping center. Mattison then took a position as an analyst with The Irvine Company, where she specialized in the legal documentation involved in managing shopping centers, office buildings, industrial centers and ground leases. After leaving The Irvine Company, Mattison became a property manager for Jaeger Development in Beverly Hills, where she managed 500,000 square feet of office, retail and industrial space. She then joined Capital Investment Properties to manage their portfolio and develop a full-service maintenance division. In 1990, she joined Woodmont Real Estate Services as Vice-President, establishing the Sacramento regional office. Within two years, her office’s portfolio grew to more than two million square feet of commercial space and 1,200 multi-family units. Mattison originally worked for Westcal from 1985 to 1990, then re-joined the company in 1998. She worked closely with Michael Force to build the company to a management portfolio of over 6,000 units. In addition, her vision for a full-service Maintenance/Construction division has benefited all Westcal clients by providing cost effective crews to renovate and maintain the properties they manage. 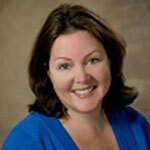 Amanda is a dedicated property management professional with over 15 years of experience in Multi-family management. She has been an integral part of the Westcal Management team since 2013. She began her journey with Westcal at the site level as a Property Manager. Over time she rose to become the Regional Manager with a portfolio consisting of properties in our Sacramento, Woodland, Yuba City and Marysville areas. In addition to her property portfolio she is also the Corporate Trainer and Tech Support guru for our accounting software system. Prior to joining Westcal Management, Amanda spent long grueling hours as a Compliance Supervisor and Onsite Manager overseeing compliance on Tax Credit and HUD properties in the Sacramento and Bay Area where she was a Certified Occupancy Specialist. Though her focus prior to joining the Westcal team was Conventional Housing she has found much joy and a new path working in the Fair Market sector. One thing Amanda took away from her years working in Conventional Housing and has brought with her to Westcal Management is her never ending attention to detail and organization which she implements wherever she can. You are in good hands with Amanda, she is a friendly go getter with diversified experience and the drive to make it all happen!